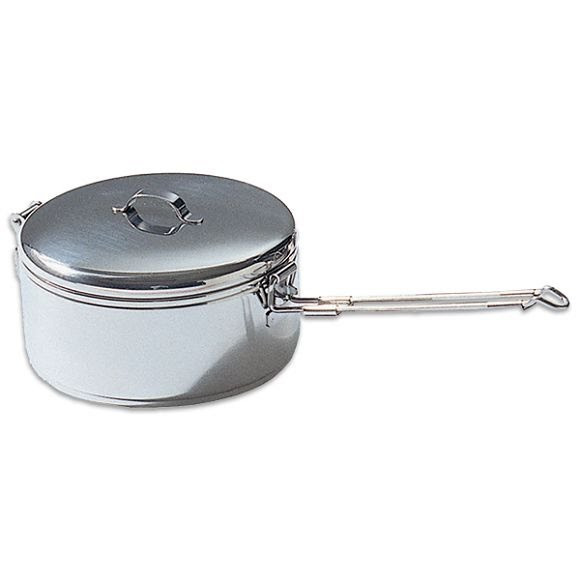 MSR's line of stainless steel pots stands up to heavy use and offers a high quality, durable option in cookware. They're perfect for scouts and emerging campers, as well as budget-minded travelers. MSR&apos;s line of stainless steel pots stands up to heavy use and offers a high quality, durable option in cookware. They&apos;re perfect for scouts and emerging campers, as well as budget-minded travelers. Versatile: Great for storing gear or supplies when you&apos;re not cooking.